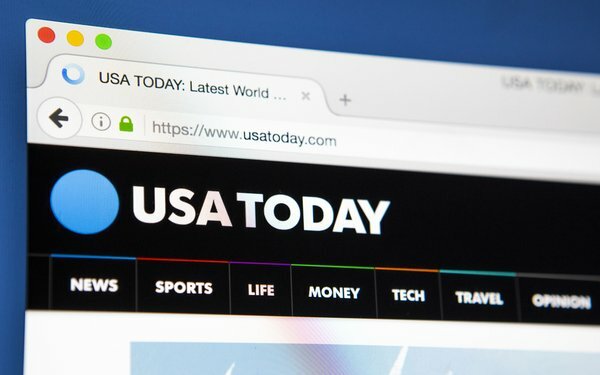 USA Today Network is launching a conservative opinion newsletter aimed at Trump voters and those in the heartland who claim their views are not represented in the media, according to Poynter, which first reported the news. Called "Views from the Right," the initiative comes out of The Indianapolis Star, a local, daily newspaper owned by the USA Today Network. Executive editor Ronnie Ramos, who oversees opinion and news at The Indy Star, is looking to The Skimm and Hustle as models for the newsletter, Poynter reports. The free, weekly newsletter aims to build a national audience of center-right conservatives. It will curate conservative commentary from across the country. Indianapolis Star cartoonist Gary Varvel will also share links to some of his favorite conservative writers in the product. The plan for the newsletter is to add other conservative voices from the USA Today Network's 109 regional papers, as well as regular contributors from other publications. In fact, 17 of the 20 conservative websites with the most visits in May 2018 experienced traffic growth, compared to April, according to TheRighting’s analysis of SimilarWeb data. May showed some of the strongest gains in visits to conservative websites for 2018. “These numbers contradict the assumption that consumers — at least on the right — are suffering from news fatigue,” stated Howard Polskin, president and chief curator of TheRighting. Last spring, The New York Times brought on conservative op-ed columnist Bret Stephens, a cynic of climate-change science. The Washington Post rolled out a module in 2017 to recommend an opinion piece with a different point of view from what a user is currently reading, called “Counterpoint." The feature appears at the bottom of select Opinion pieces. But mainstreams publishers do not always get it right when picking conservative columnists. The Atlantic hired Kevin D. Williamson in March to become part of the founding team behind a new opinion section called "Ideas." Williamson spent a decade at National Review covering American politics and had made headlines for his controversial and right-wing views. The Atlantic cut ties with him just a month later, under pressure from readers who were concerned about his past inappropriate and violent comments regarding abortion, as well as the LGBTQ community. 1 comment about "USA Today Network Launches Conservative Initiative". Allen Freeman from Cleveland Creative Inc., June 28, 2018 at 10:27 a.m.
Why let a lefty paper set the tone for conservative dialog? Simply subscribe to The Federalist newsletter at http://thefederalist.com and get unvarnished conservative thought.